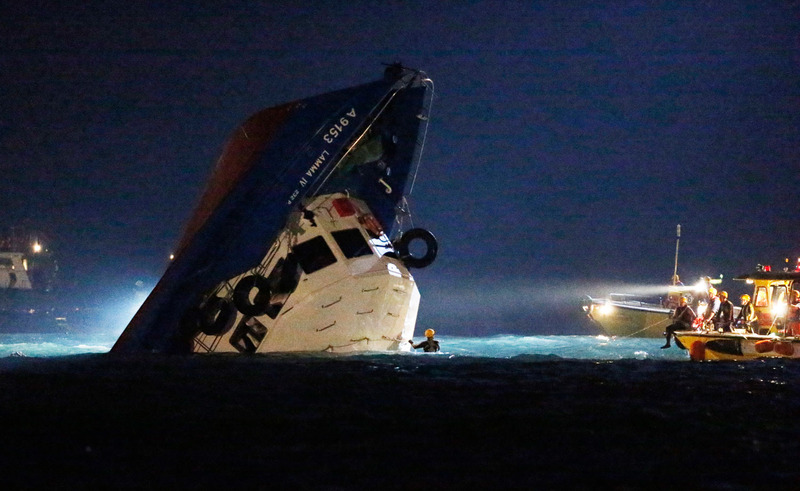 Rescuers check on any survivors inside a half-submerged passenger boat "Hongkong Electric's Lamma IV" after collided with a tugboat the "Sea Smooth" during the China National Day holiday near Lamma Island, off the southwestern coast of Hong Kong Island Tuesday, Oct. 2, 2012. 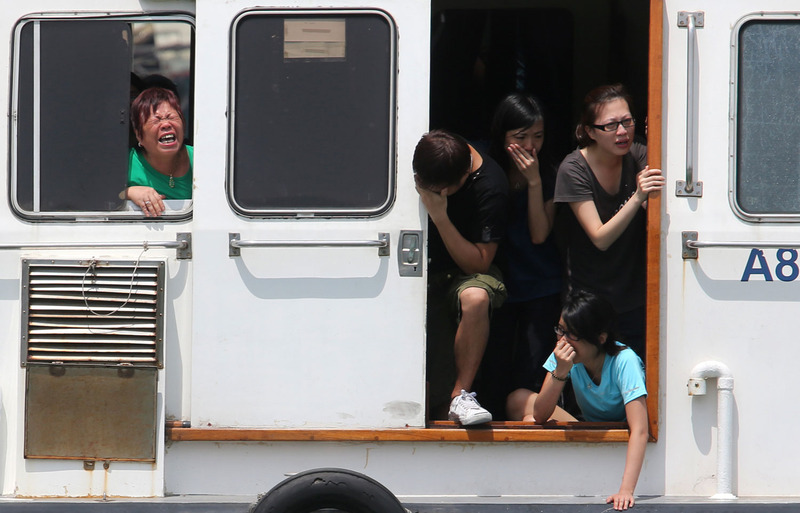 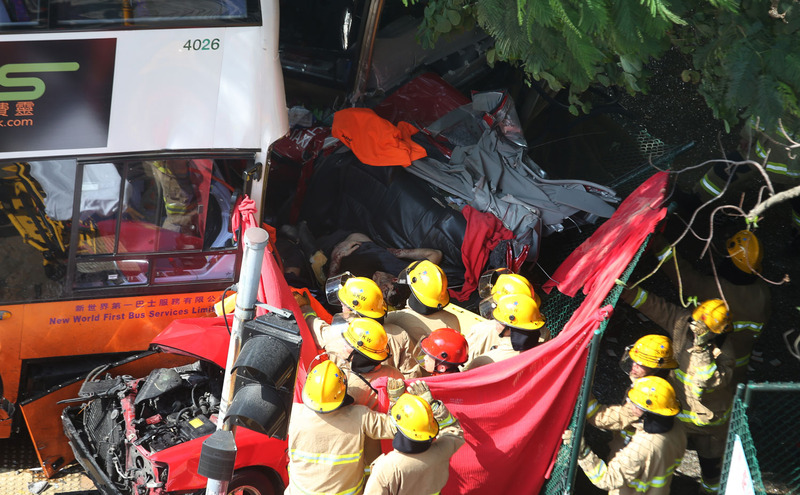 A total of 38 people were killed and scores injured when a passenger ferry collided near Lamma Island with a vessel carrying company employees on a pleasure cruise to watch holiday fireworks on Monday evening. 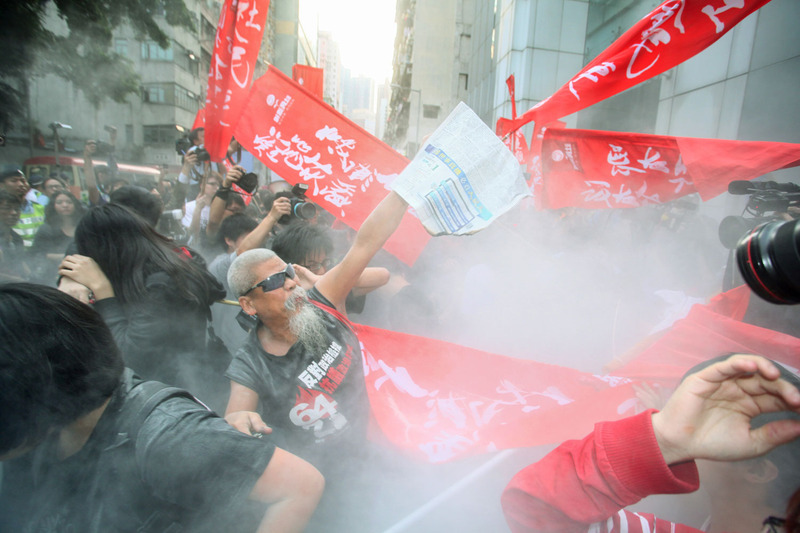 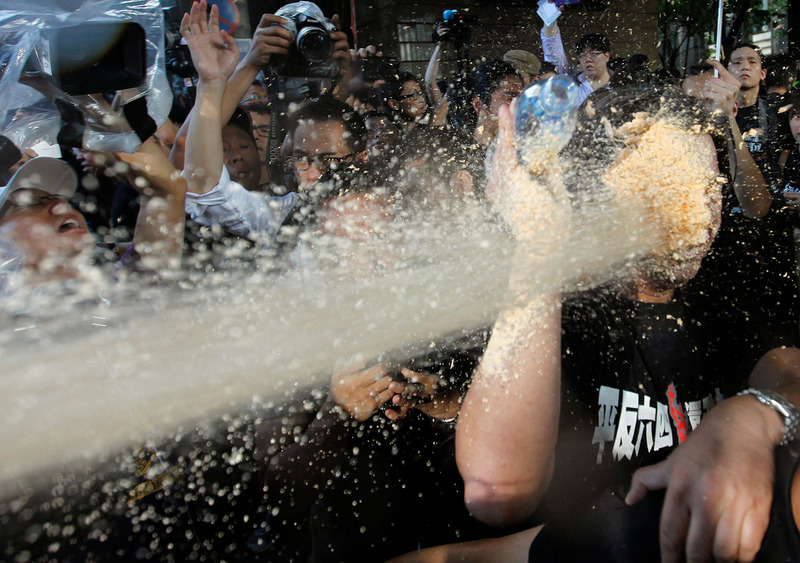 Police spray pepper foam into the face of radical Hong Kong lawmaker Leung Kwok-hung during a pro-democracy protest outside the hotel where Chinese President Hu Jintao is staying during his visit to Hong Kong, 30 June 2012, Hong Kong, China. 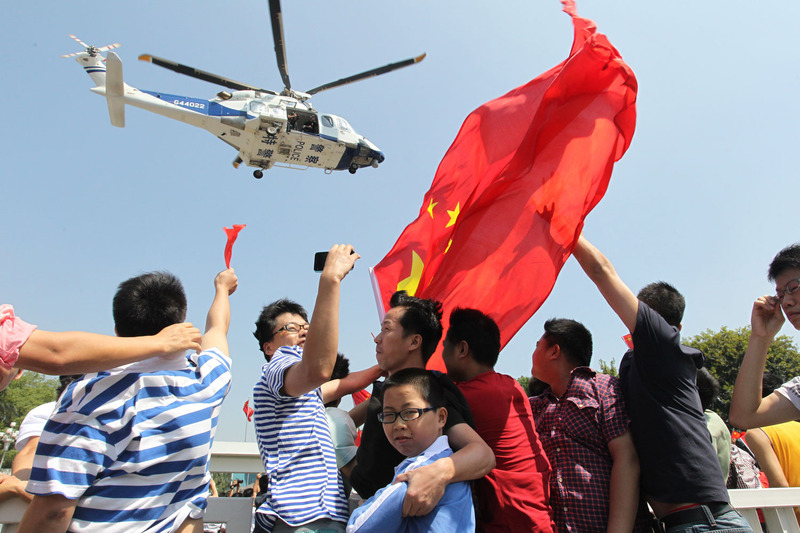 Hu Jintao is in the city to celebrate fifteen years since the 01 July 1997 handover of sovereignty from Britain to China.